March Mayhem has begun! 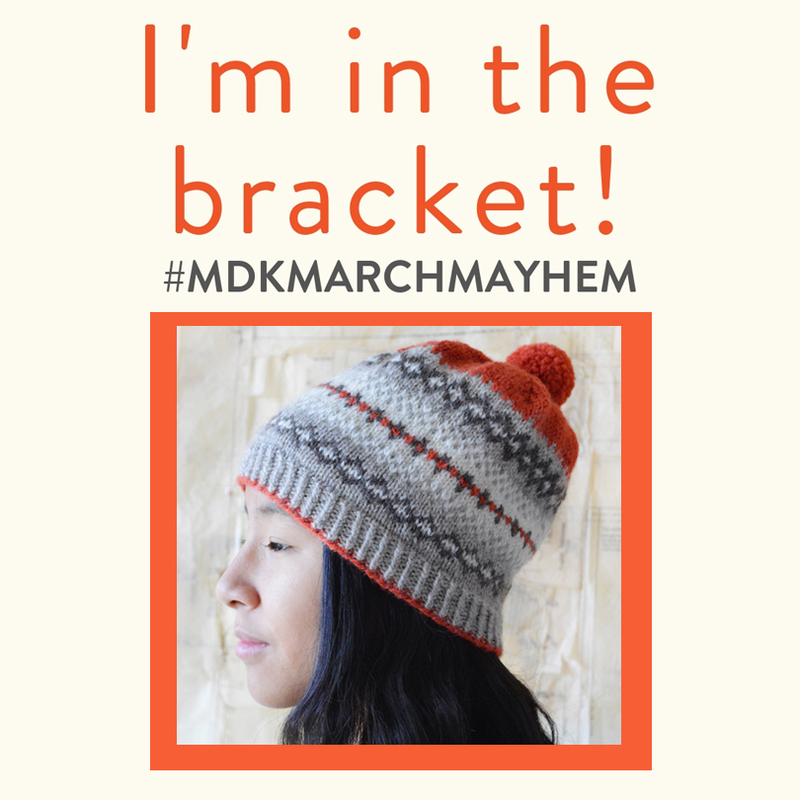 The “world’s only bracket for knitters” was cooked up by Ann and Kay over at Mason-Dixon Knitting to celebrate knitting patterns created by independent designers. Out of the thousands of patterns published during 2018, only 64 were chosen to compete in March Mayhem. I’m thrilled that my Downy Hat is among them! How does it work? There are 16 patterns in each of four categories: Cardigans, Pullovers, Neck and Shoulders, and Head and Hands. You can view them all here, with handy links to each pattern’s Ravelry page. Starting this Thursday, March 21, you’ll be able to vote online for your favorites in each category. There will be five rounds of voting, with the top patterns in each round advancing to the next round. The championship round, April 5-7, will determine the final winner. And after that? More fun - a big knitalong begins! Keep up with the voting and the excitement as patterns advance at Mason-Dixon Knitting. If you like my Downy Hat, I hope you’ll vote for it!